The Avant ATOM is a 2nd-generation dynamic for tom miking. Whereas the original ATOM had an integrated, swivel hardmount built into the body, the new ATOM, like the new ADM snare mic, uses a narrow body shaft with two machined grooves designed to lock into the company’s SSM elastic shockmount. 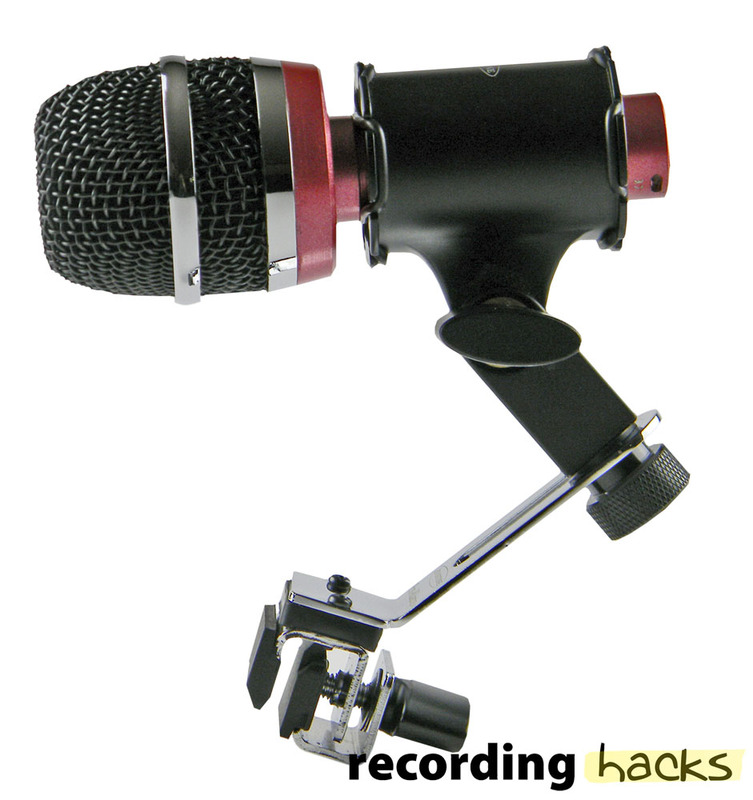 The elastic bands from the shockmount fit into the machined grooves in the mic body, preventing the mic from slipping even when close-mounted on a drum with the included rim mount. The ATOM shares a diecast zinc body design with the new ADM, but uses a different dynamic cartridge, with different impedance and frequency response. 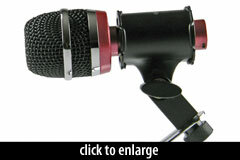 The ATOM ships with the Avantone SSM elastic shockmount and Pro-Klamp rim mount in a padded plastic carrying case.